Cut your cleaning time in half! 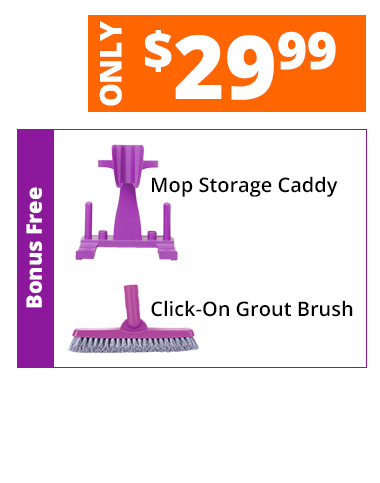 Includes 2 Free Gifts: Click on Grout Brush: Cleans grout to new! Never have to get on your hands and knees again. Storage Caddy: So your Click n Clean is always organized and ready to use! 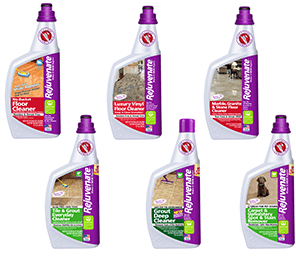 Rejuvenate Floor Cleaners are Specially Designed for your Specific Floor Surfaces for a Professional Clean Every Time! 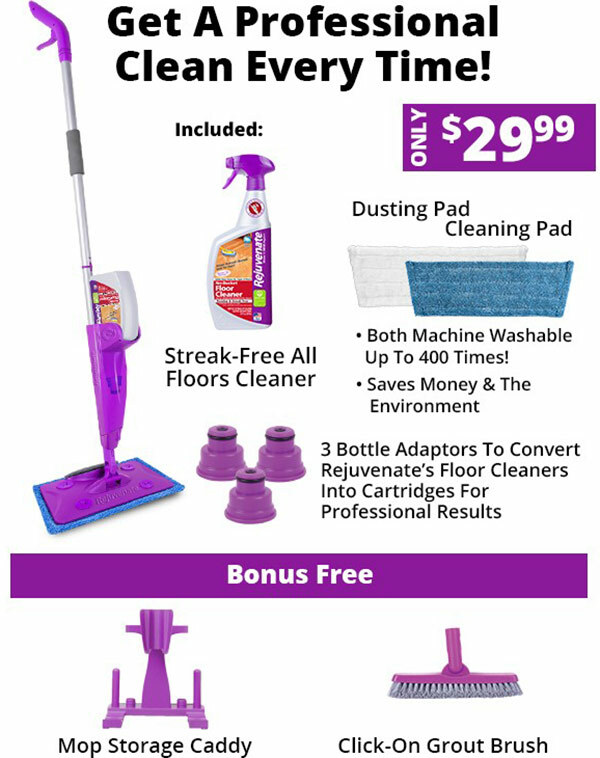 Now You Can Speed Clean EVERY Floor Surface! Reveal the Natural Beauty of Your Floors In a Fraction of the Time! Our Customers Are IN LOVE with Click N Clean! "I got this mop a couple weeks ago. I have about 70 % hardwood and tile in my bathrooms so I have tried just about every type of floor care item available. This mop was easy to assemble, a simple click on handle. It came with a nice durable, washable wet pad and a separate dry pad." 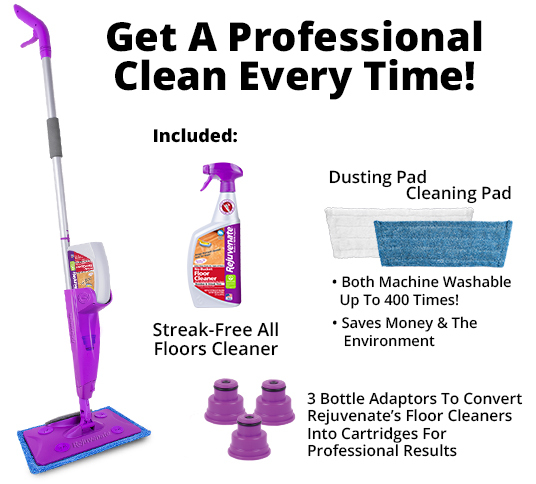 "So easy to use my granddaughters can mop!" "I bought this mop a month ago, and I am very pleased with my purchase! I could mop within seconds of opening the box, putting the mop together was quick and simple. 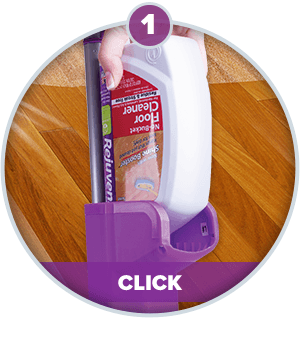 I have hardwood floors and am cautious when using new products, but the Rejuvenate surface spray left my floors shiny and clean and no residue!" 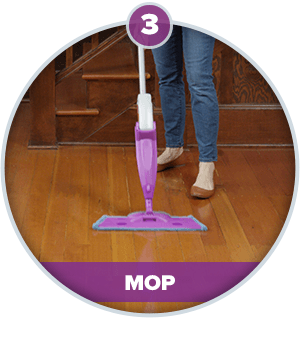 "The best part about this is that it can reach places that my other old Wet jet and Swiffer Sweeper tight cleaners could not reach. It has an angled head so it can get back into corners better with more ease. There is several different attachments to help with scrubbing tough spots like gum or stickers or in my case Band-Aids that have been stuck on for a long time and raspberry stains were my kids squish them into a floor and left it there." 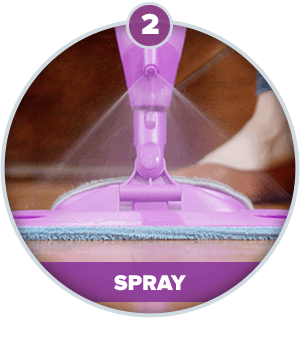 "My new favorite floor cleaner"
"This is hands down the best floor cleaner I’ve had. The other kind was fine. But.just fine. This has the ability to scrub and to clean grout. It has washable covers so I’m not filling a landfill. It has a spray trigger instead of a button and I love it. I’m am a master at finishing cleaning and hitting that button, having to continue mopping. Will buy other cleaners for this mop."